I was so happy with how my French Bread Boule turned out that I decided to make it even better with wonderful, aromatic, fresh rosemary. 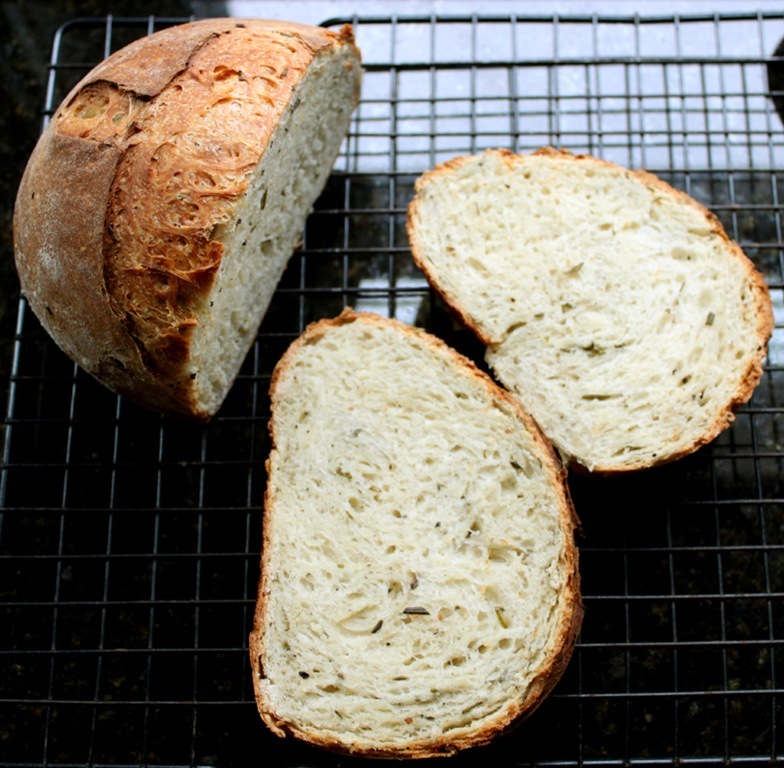 The rosemary makes it feel warmer, more seasonal, and is a fancy touch to a homemade boule. 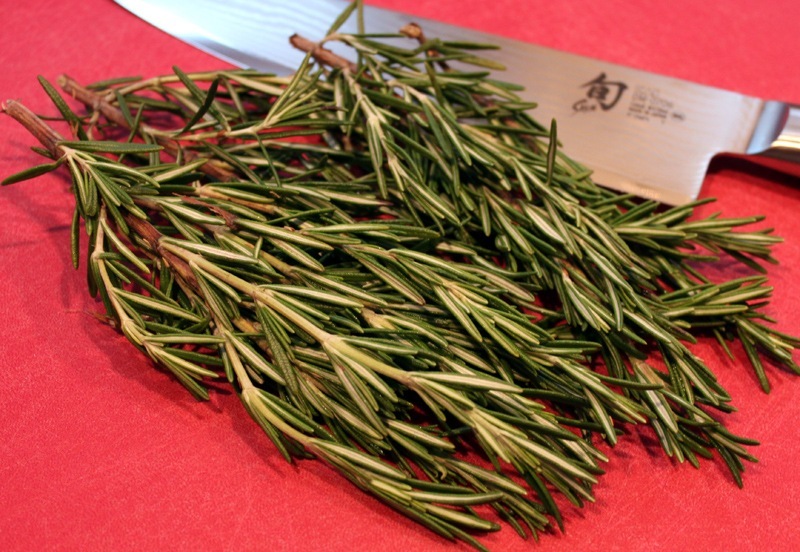 Start by finely chopping the rosemary. I bought a big bunch and chopped the whole thing up at once for a few different recipes. If you go this route just make sure to take out 2 tbsp. of the chopped rosemary for this recipe. 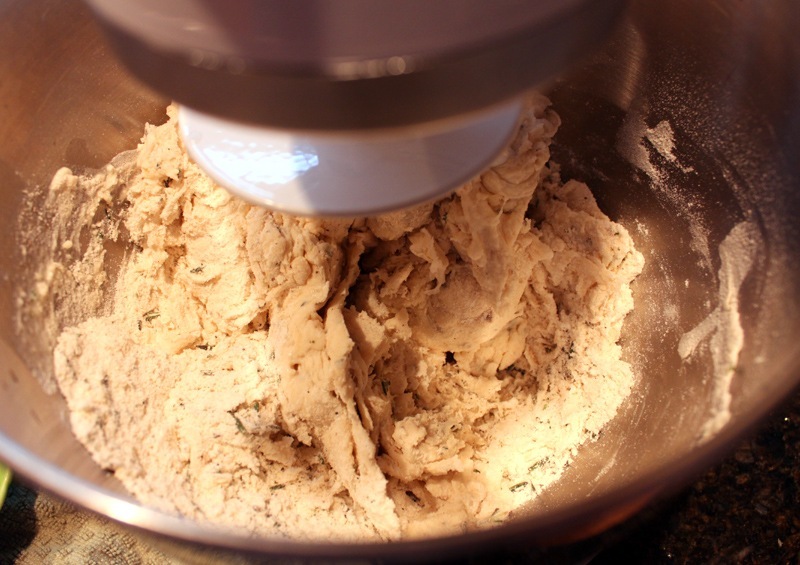 Super easy – mix all of the ingredients together in a big bowl (or stand mixer with a dough hook) until it forms a ball. 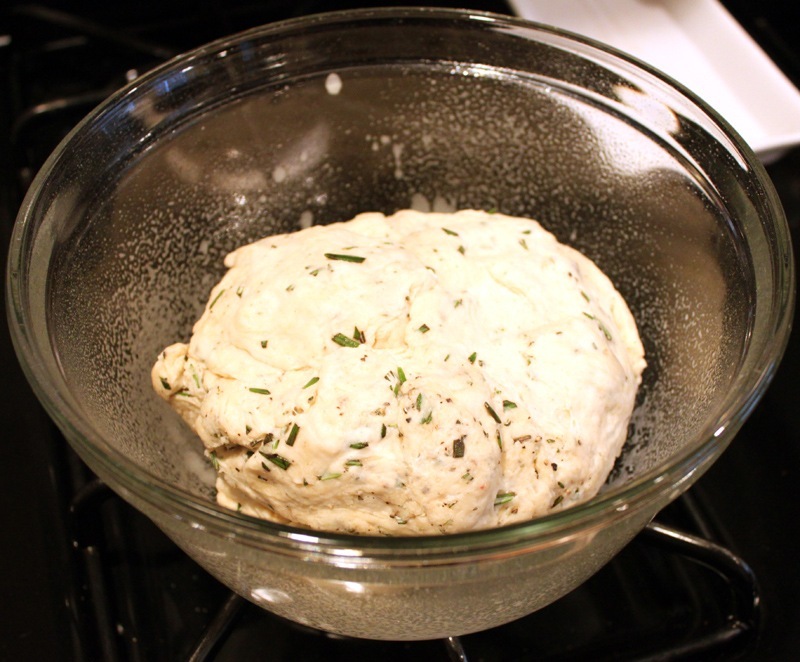 Place the dough ball in a greased bowl, cover with a towel, and let it rise for 3-4 hours. 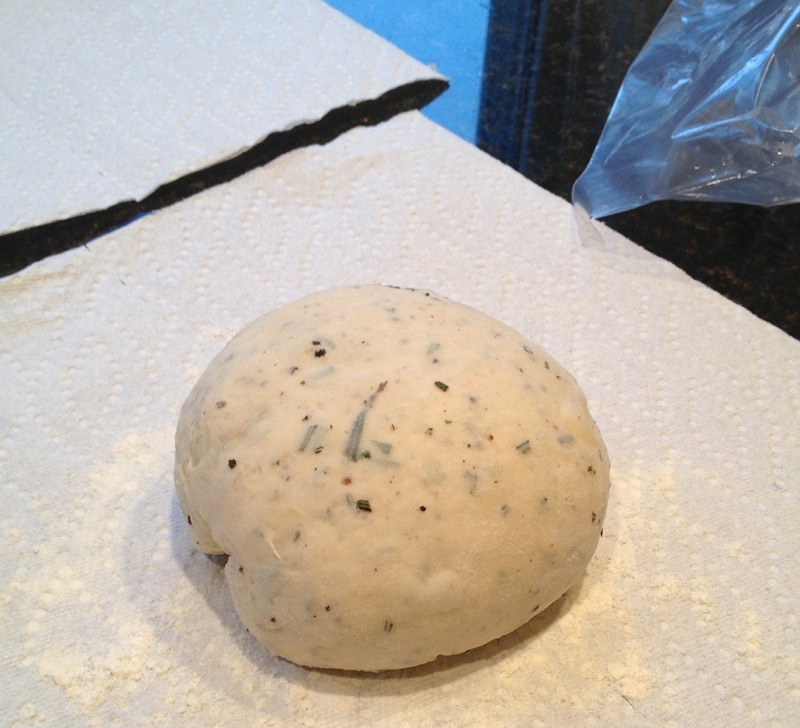 Once the dough has risen, divide the dough ball in half with a dough scraper. I put each half in a freezer bag and froze it until I was ready to make the bread. 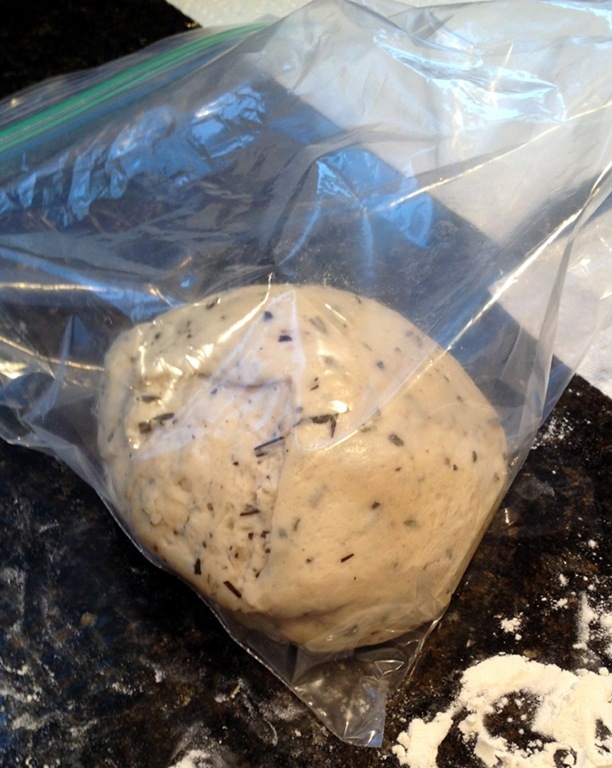 When I was ready to use it I put the frozen dough in the fridge for 3 days to thaw. The day before I wanted to bake the boule I kneaded each dough ball, dusted a paper towel with flour, lined a big bowl with the paper towel, placed the dough inside, and put the dough back in the fridge overnight to rise. Finally, it was time to bake! The baking method I used here is essential to getting the result I got. First, preheat your oven to 450 degrees with a cast iron skillet and baking vessel inside. A word about the baking vessel: you can buy a very expensive cloche bread baker (a pricey unitasker) or you can do what I did and use a dutch oven. Mine is a Le Creuset but you could use anything that can withstand a lot of heat with a cover or lid. Sorry, there are no pictures of the next steps because it happens fast! If you’d like to reference some pictures of the baking process, check out my sourdough boule post. Once the oven was preheated, I placed my bread dough in the middle of my Le Creuset and scored the top with a sharp knife. I then poured a cup of water into the hot cast iron pan and closed the oven door quickly. 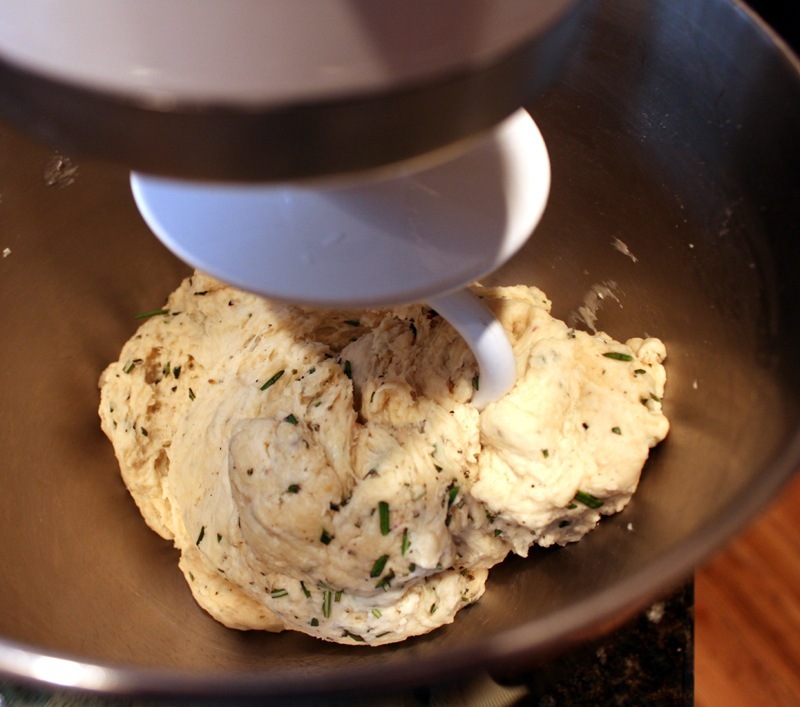 This allows the dough to be fully surrounded by steam. 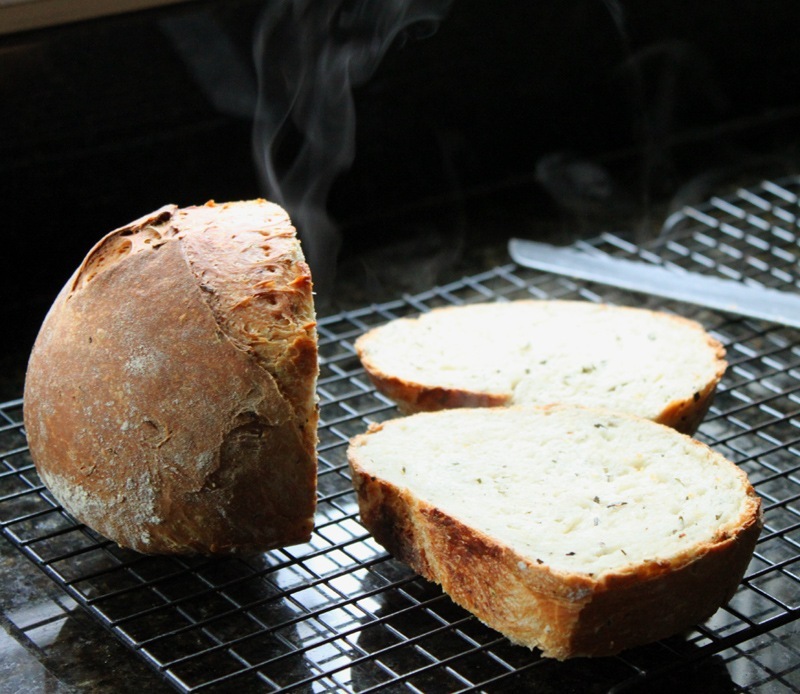 Steam creates an amazing crust and enhances the interior of the bread (you’ll see later). After three minutes in the steamy stove, I put the lid on the Le Creuset and baked the bread like that for about 15 minutes. This ensures that all of the steam inside the dough will be trapped there while the bread actually bakes. 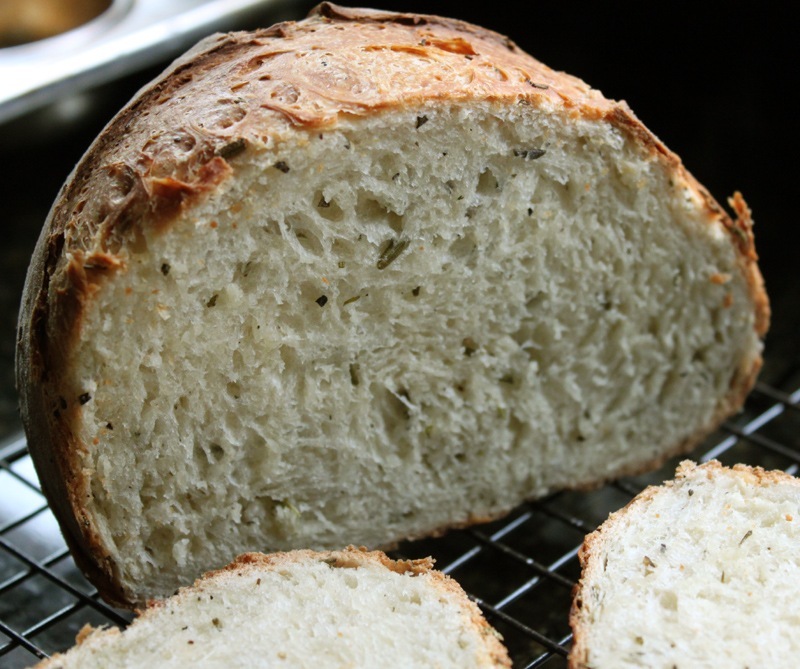 The rosemary completely scented and flavored the bread. That combined with the butter and high-protein flour gave this bread the perfect soft, airy texture and deep flavor. 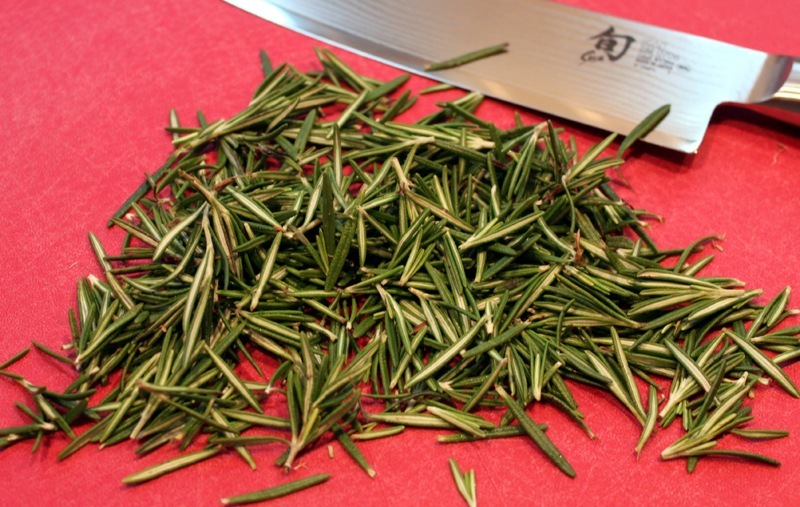 I have become absolutely obsessed with rosemary in the last year. Whoa, I hadn’t! That is fascinating! 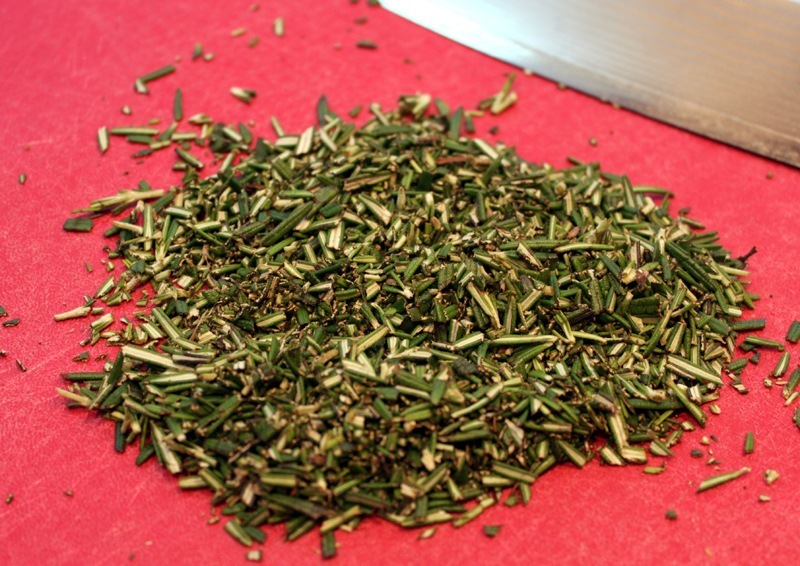 I have a thing about rosemary in bread. Absolutely love it. The texture of your loaf looks divine. The aroma is my favorite thing in the world. I need more rosemary scented things in my life!